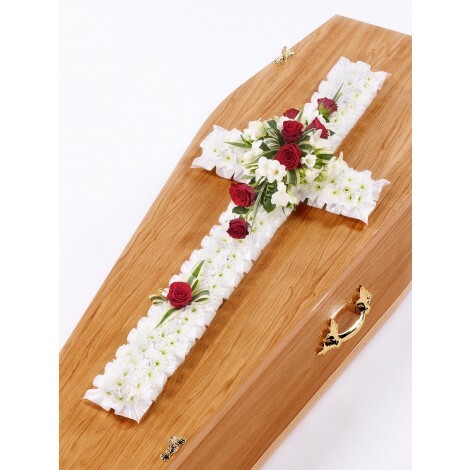 This simplistic, stunning and very classic cross casket display is one of true beauty. 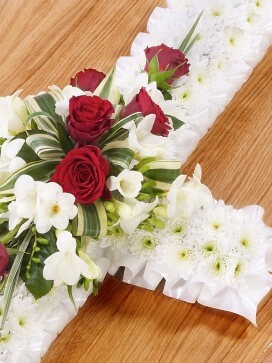 The classic cross shape is covered in a sea of pristine, white spray chrysanthemums, perfectly accented and complemented by a spray of red roses, white freesia and vibrant lush green dracaena leaves. 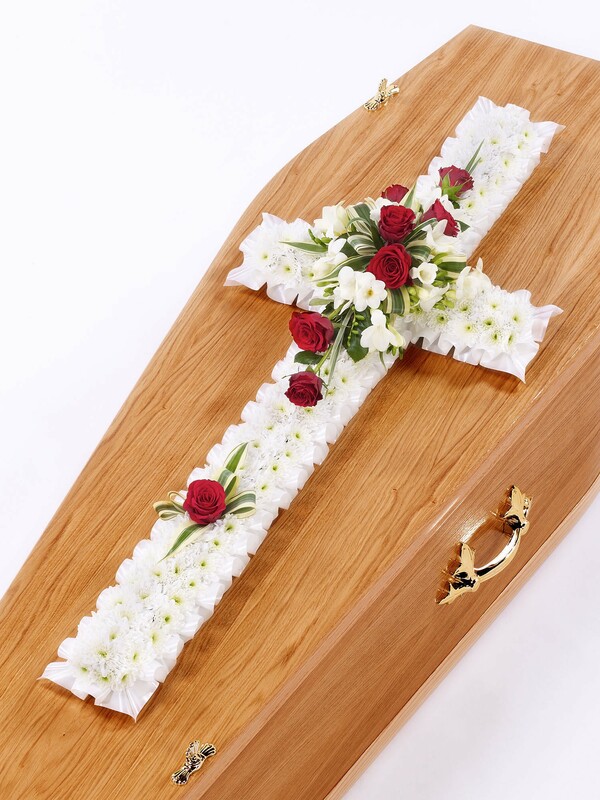 Please note the image shown relates to the larger size version of this cross.